marcella hazan’s tomato sauce | Is there any wine left? Yes, that is all. That is the beauty of this recipe. The simple ingredients and uncomplicated process allows the pure flavor of the San Marzano tomatoes to shine. 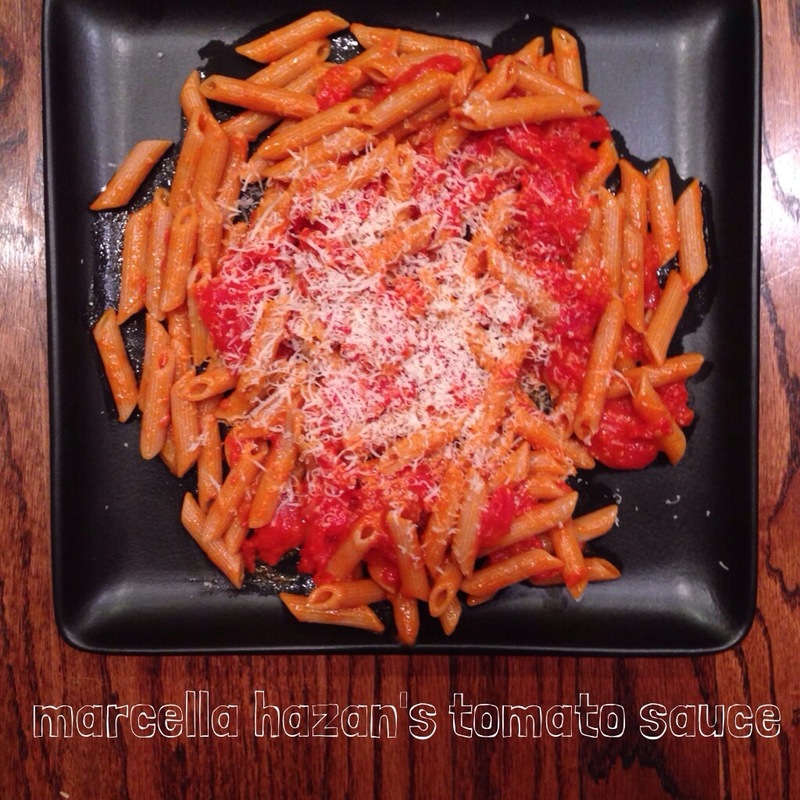 When I heard Marcella Hazan passed away this week, I realized how long it had been since I’d made this lovely sauce. So I pulled out a can of San Marzano tomatoes, an onion and a stick of butter. Then I poured a glass of wine and inhaled the aroma of fresh, sweet sauce cooking on my stove. In a medium saucepan, add the tomatoes and use your hand to gently break them up. Add the onion halves and the butter. Turn the heat to medium-high and bring the mixture to a boil. Lower the heat to medium-low and stir to incorporate the butter. Simmer for 45 minutes, stirring occasionally. Meanwhile, boil the pasta until al dente. When the sauce is done, remove the onions and stir in the drained pasta.